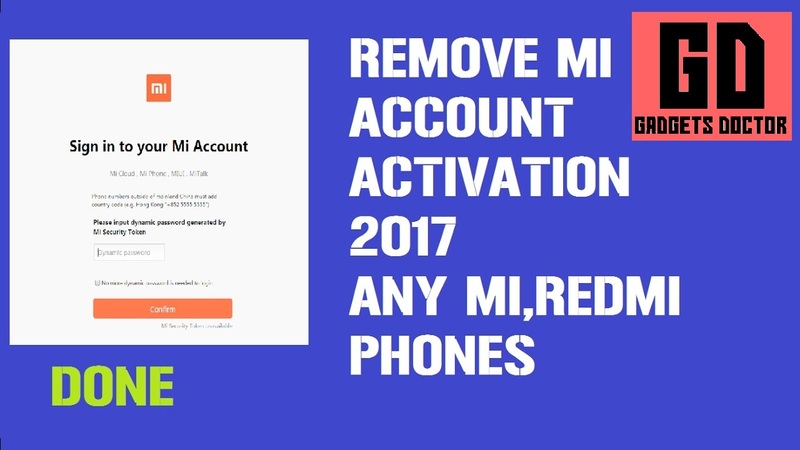 Today I will Share you a new method to BYPASS MI ACCOUNT All MIUI 9 ANDROID 7.0 ON ALL XIAOMI DEVICES .(Android-7.1.2). very easy guide to bypass google account frp on All Xiaomi Mi Devices .in just few seconds. Download Xiaomi ADB Driver . On your phone connected to WIFI Network. Type Anything & Select on “add new network” box. Now you will Redirected to default browser. Now Type & Search “Settings”. Click Now Click MIUI Version 7 Times . Now Back to settings main Menu. Goto Additional Settings => Select Developer Settings . Now Enable USB Debugging mode On and Enable OEM . Now Connect your Device to pc . Open Mi FRP Remove tool. Press anything to run Frp Tool. Now Download Xiaomi Frp Code . Copy FRP Code and Paste Frp Code on MI FRP tool. When Success disconnect and setup your device..
Now your FRP remove Successfully Done. =>AFTER REMOVE FRP IF YOU POWER OFF OR REBOOT YOUR DEVICE YOUR DEVICE WILL BOOTLOOP SO DOWNLOAD YOUR MOBILE FIRMWARE AND FLASHING TOOL AND FLASH YOUR DEVICE AFTER FLASH POWER ON YOUR DEVICE AND SETUP YOUR DEVICE NOW YOU WILL SEE YOUR DEVICE FRP SUCCESSFULLY REMOVE…. Don’t turn off the phone, otherwise it will reset the phone and the system back to normal. After Power off your device then flash latest stock rom then your device back to normal..